So after the original finger coils post, I decided to do some on my hair. I got inspired by swdmoct06's hairstyle tutorial on YouTube. My hair is at this akward length where it doesn't look nice worn (down) in individual styles like twists and coils. Maybe because it's too close to my face and I like big hair? I dunno. My twists and coils aren't voluminous, they just lay flat and really close to my head. I hate it! So these coils only stayed in overnight. Still didn't do my flat twists small enough either b/c they are still fuzzy! Grrr. Or maybe I just need to use (aloe vera) gel to do them to slick them down. I used my shea butter mix to flat twist and coil with. I like it! You look fabulous! I don't think it is an awkward moment!! I also don't think it looks bad at all, infact I think it looks great. I do also think the coil out looks super super super fab but the pre-coil out also looks great. I think it came out nice! After seeing your original coil post, I took a little section of my hair and tried to coil it. Didn't come out as pretty as yours but I'm going to try it again. How long did it take you to coil your hair? OMG coil out is the bomb! Thanks for sharing! Incredible results! Thank you for your kind comments ladies! Au Naturale Belle: I didn't keep track of how long it took me. I don't think it took me more than 2.5 hrs though. Try what I did, try 2 stranding twisting at the root first and then coiling. I'm going to try them again using aloe vera gel or a pudding I'll whip up. I like the coils on you! I tried to do the coils and my hair rebelled (I don't think she like coils) and I did two-strand twists. Looks fab and should last a week or two. Glycerin + Winter = Dry Hair! 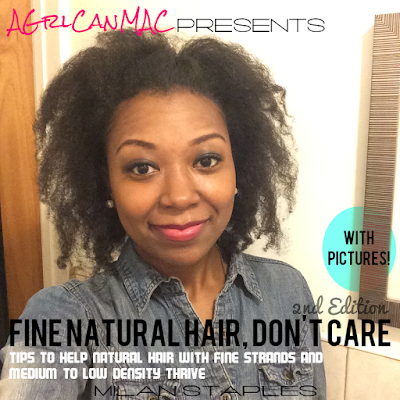 Accessories That Can Mac: Naturally Divine Co.